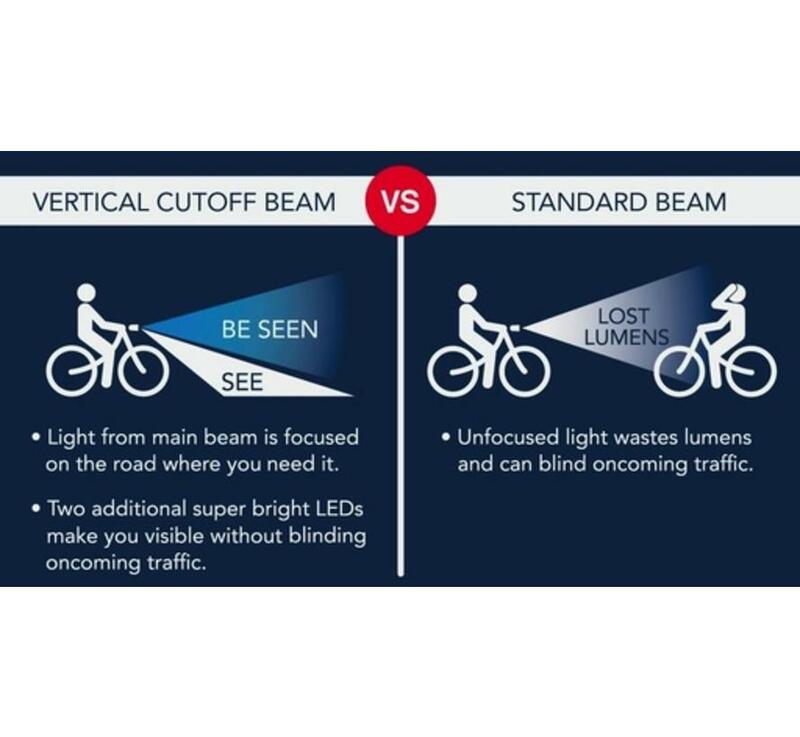 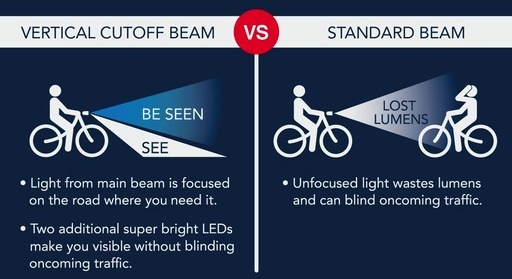 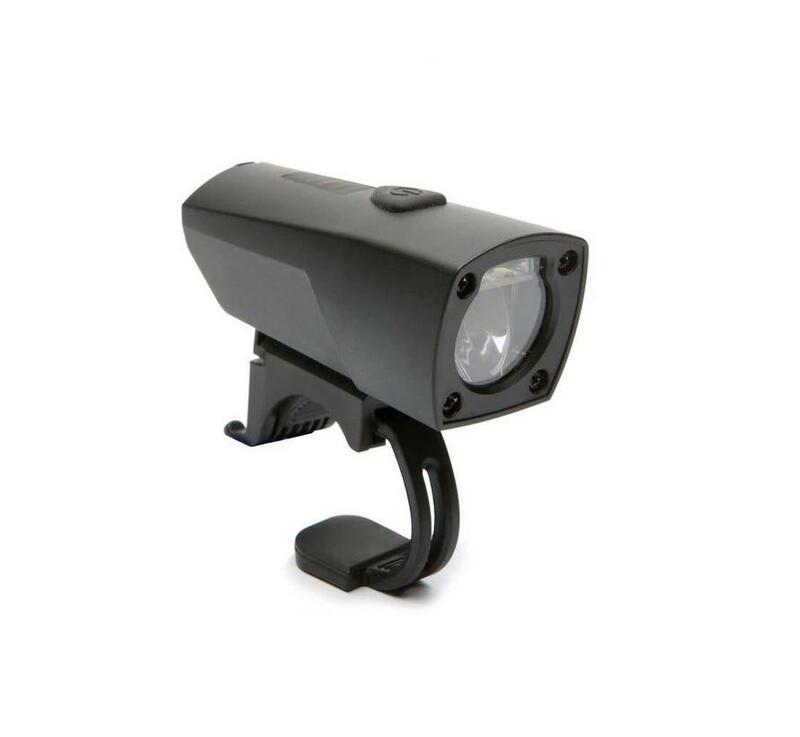 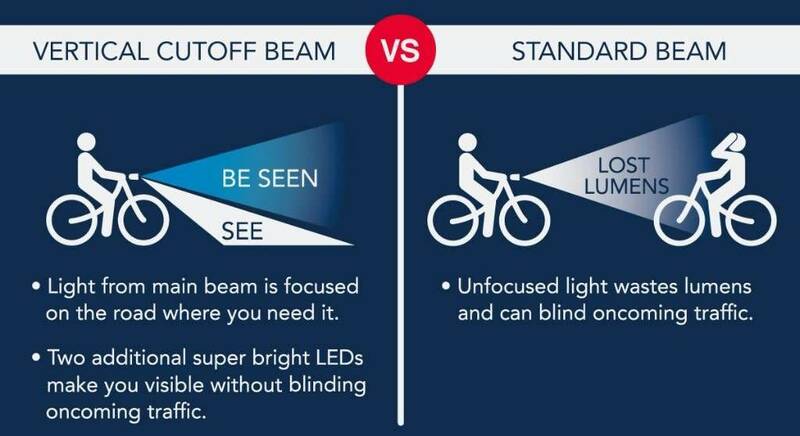 The Vertical Cutoff Beam is designed to focus the 200 lumen main beam onto the road in front of you and prevents lost lumens that can blind oncoming traffic. 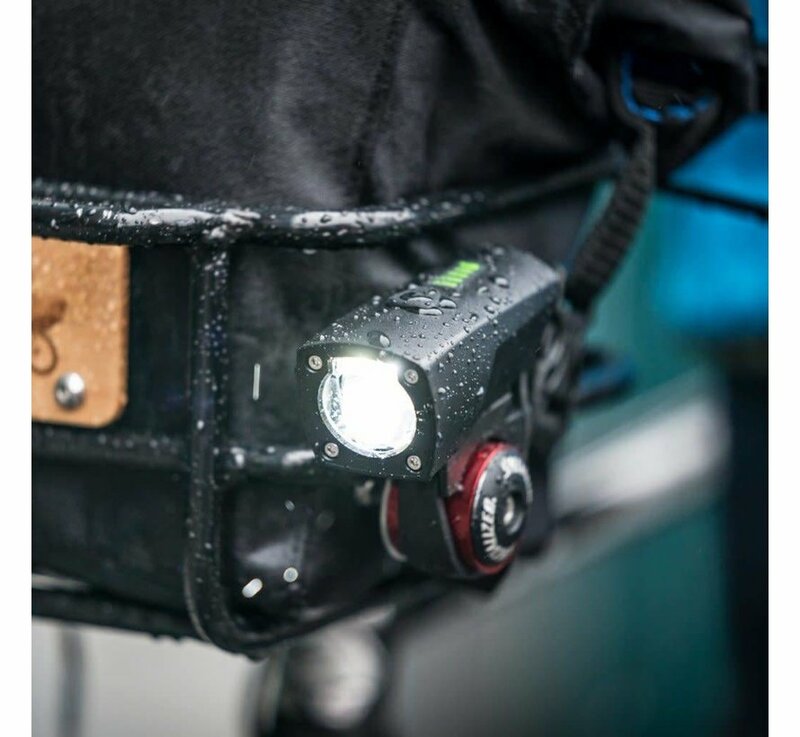 For daytime riding, the Daytime Running Flash is bright enough to make you seen even on the brightest days. 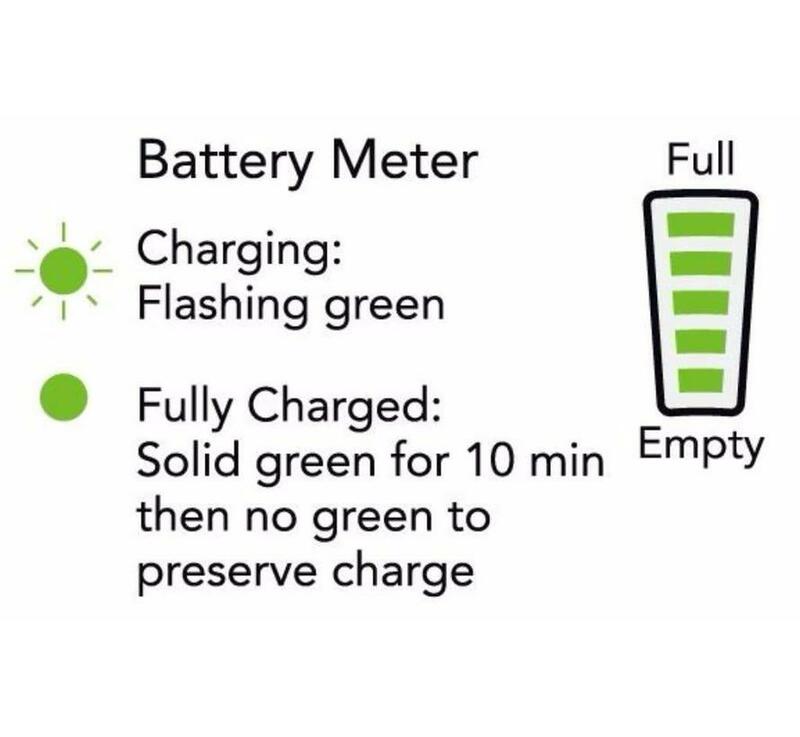 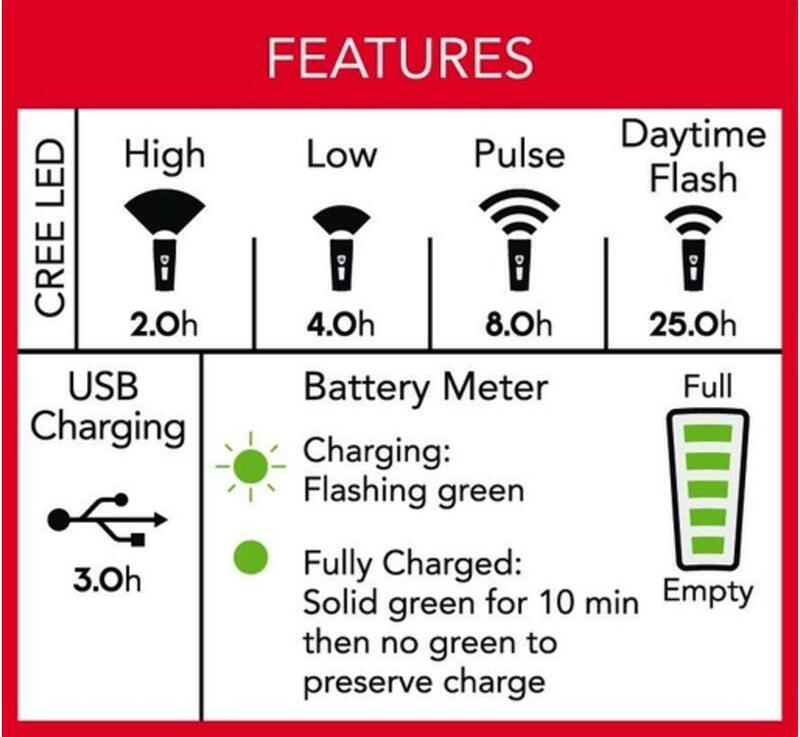 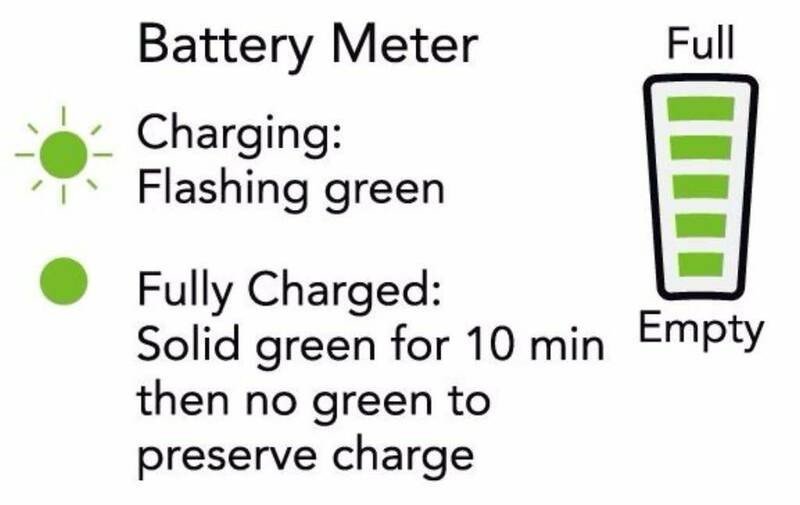 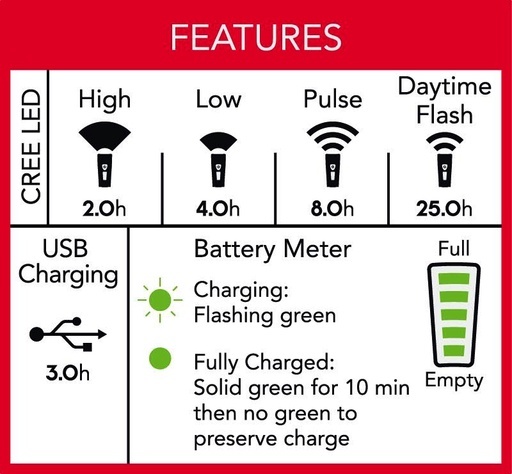 The Battery Meter lets you know exactly how much battery life you have left before needing to recharge with the included USB cord. 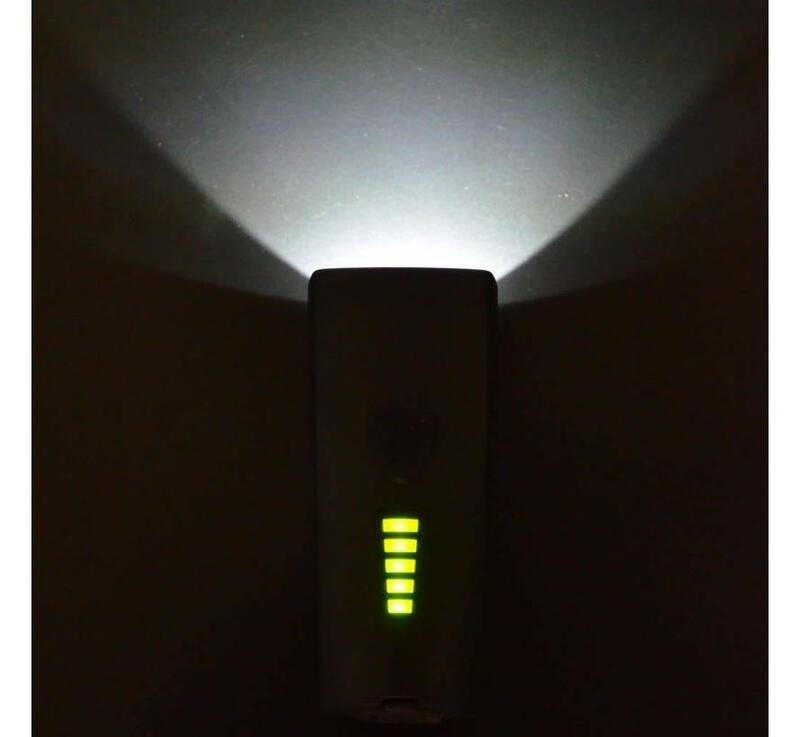 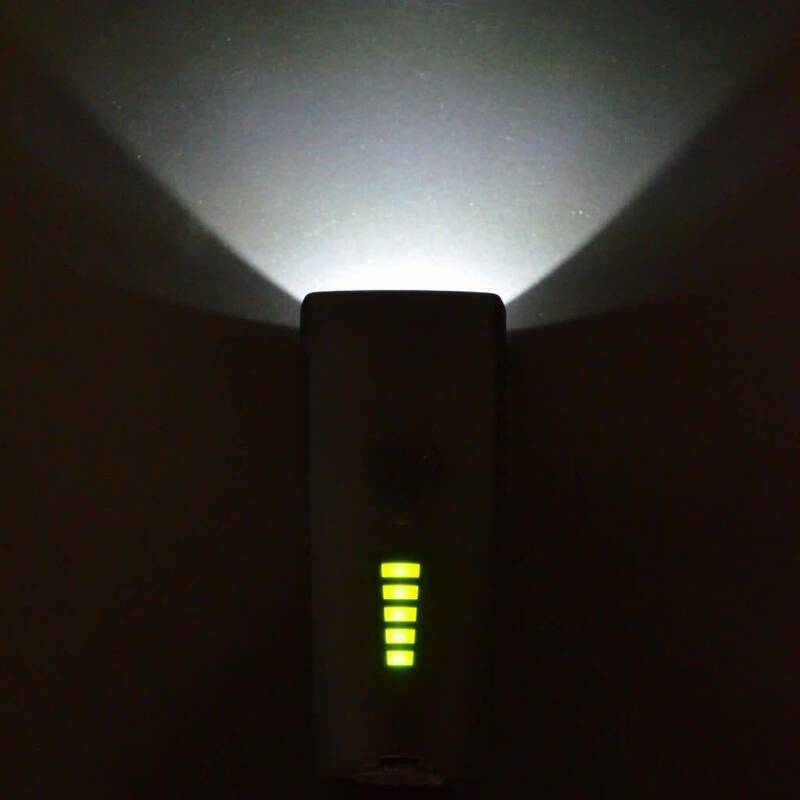 The Pathfinder includes a powerful lithium-ion battery and a darkness destroying CREE LED bulb. 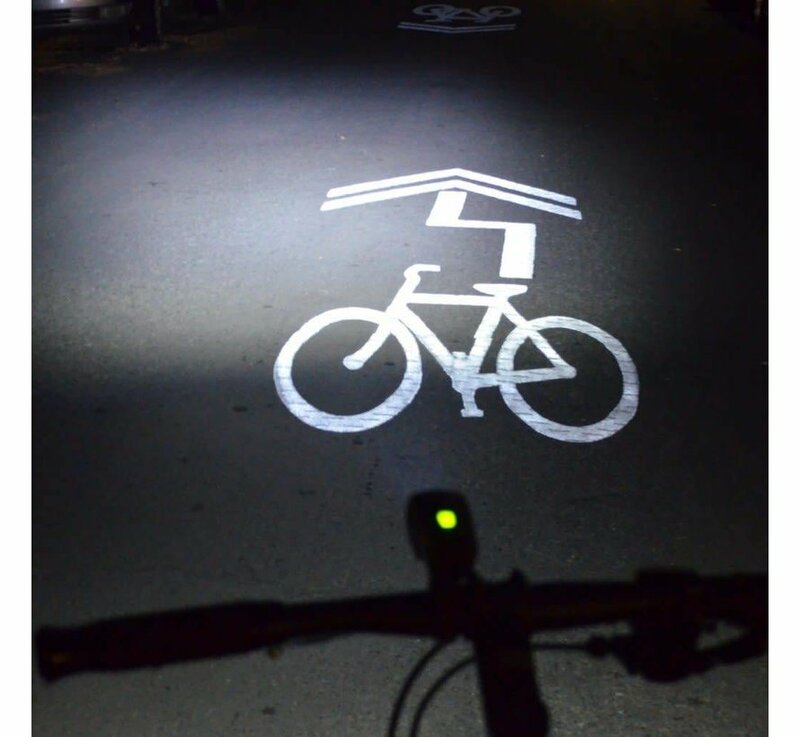 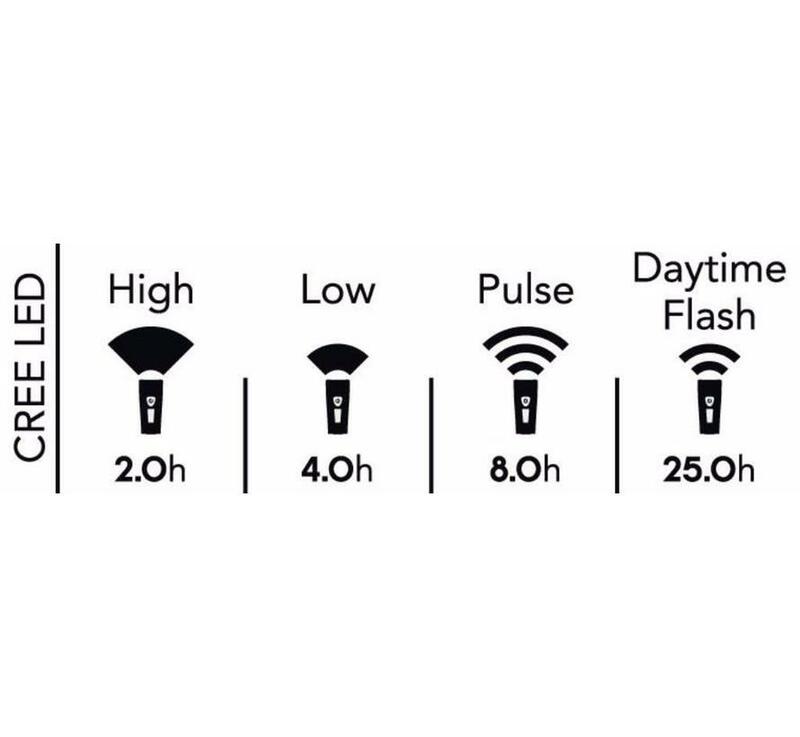 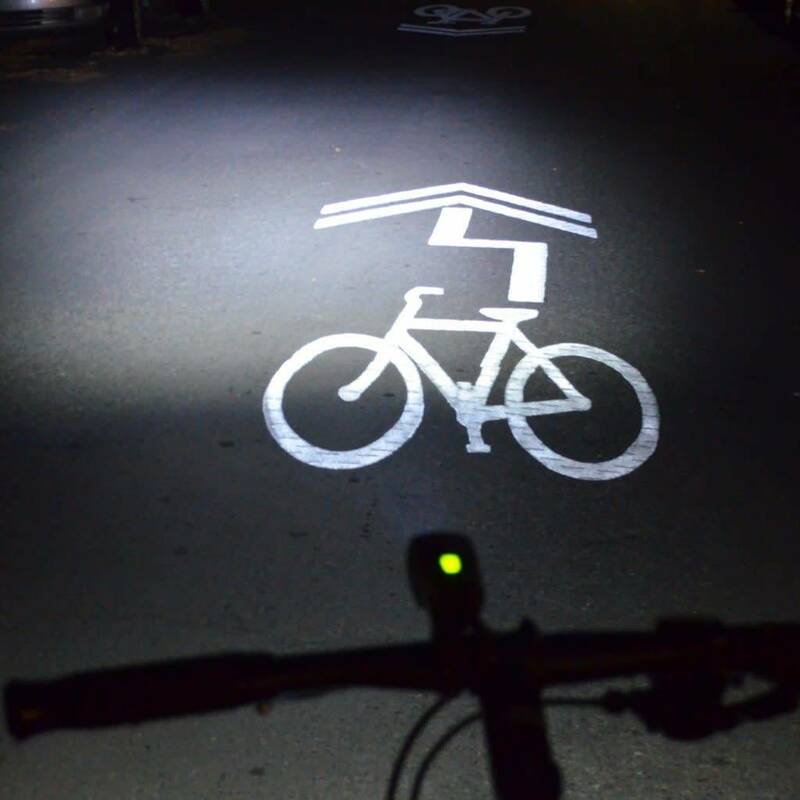 It provides superior luminous guidance for up to 25 hours of ride time. 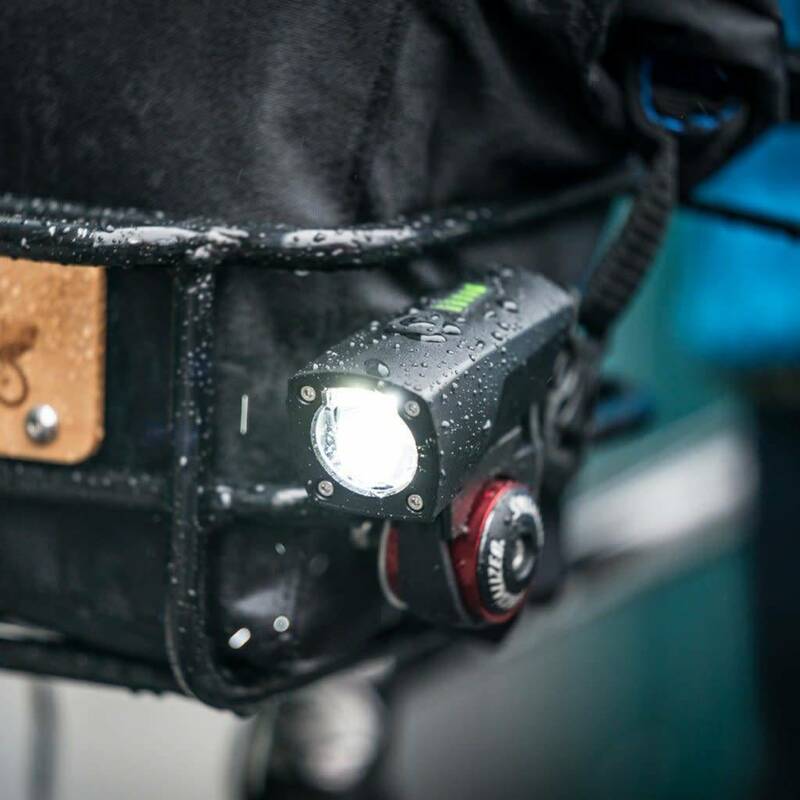 The rugged construction is weatherproof and strong enough to handle the abuse of an urban commute.